This is for Teri. 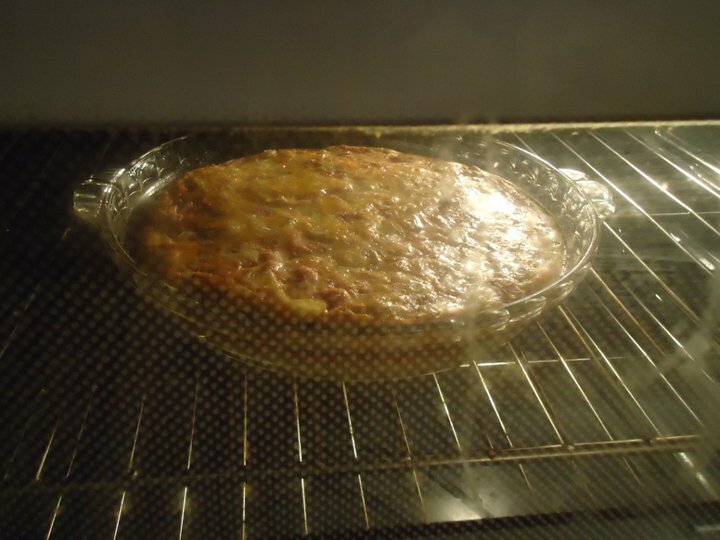 I like to call this dish "quiche" because it is a mixture of eggs and milk, baked in the shape of a pie (9" round glass plate). However, it does not have a pastry or crust. So, for traditional cooks or real chefs, this likely falls into the "breakfast casserole" category. 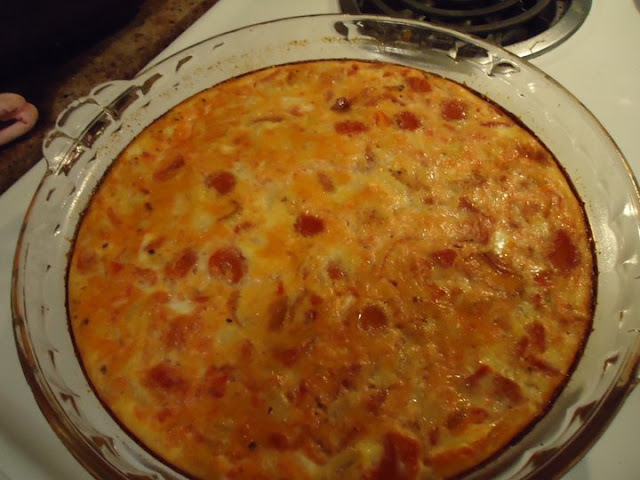 Dish should be firm but not brown on top.